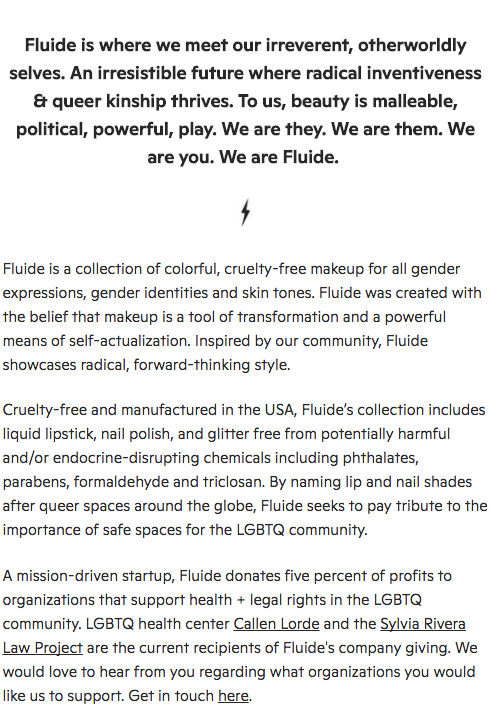 In winter 2017, I was contacted by Fluide, a queer beauty start-up creating make-up for people of all gender expressions. They hired me to write and edit their brand identity statement and tenets in a way that felt as fresh and innovative as their product. Since their launch, Fluide has been featured in Teen Vogue, Allure, Bustle, Refinery29, Vogue, and other major publications.